To setup Azure Service end point in VSTS, from your Visual Studio Account, navigate to your Team Project and click on gear icon. Navigate to Services tab and click on ‘New Service Endpoint’ in the left pane. 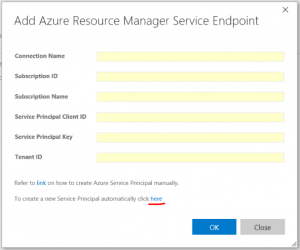 Now, setting up an Azure Service endpoint is easy, you just need to select the subscription on which to create a service endpoint, and you are ready to deploy to Azure. 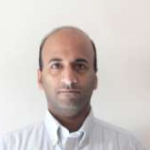 A new Azure Service Principal will be created and assigned with the ‘Contributor’ role. The default role assignment will have access to all the resources in the selected subscription. 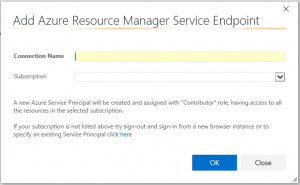 You can modify the Service Principal access from Azure portal > Subscriptions > Users > Roles. If your subscription is not listed or to specify an existing service principal, click the link in the dialog, which will switch to manual entry mode. Note: the script has been tested with Azure PowerShell version 1.0.2. From the drop-down, select ‘Azure Resource Manager’ option. In the dialog, click the link at end of the text “If your subscription is not listed or to specify an existing service principal, click here”, which will switch to manual entry mode. You can always switch back to “Auto creation of SPN mode” by clicking the link in the manual mode dialog. Click ‘OK’’. 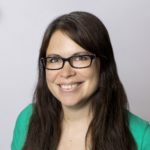 We now have established a connection to Azure from your VSTS account. From Build/Release hub, now you add “Resource Group Deployment Task” (for example) and use the subscription. To create an Azure Active Directory application, login to your Azure account through the classic portal. Select Active Directory from the left pane. 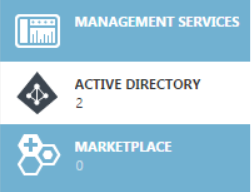 Select the directory that you want to use for creating the new application. To add a new application in your directory, click on Applications and click on Add. Choose “Add an application that my organization is developing”. 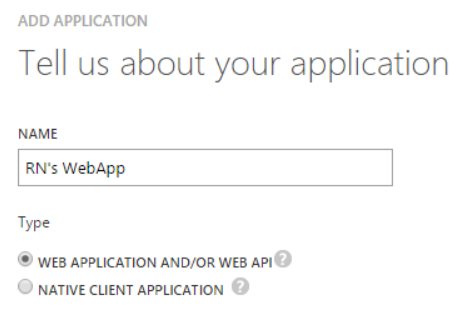 Select WEB APPLICATION AND/OR WEB API and click the next button. 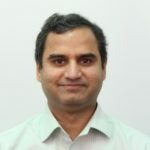 Though we intend to automate Azure Resource Group deployment from VSTS, we will have to create a Web App and use its service principal to authenticate with Azure Resource Manager. Enter a recognizable URL as we will need it later for role assignment. To create your service principal password, from CONFIGURE tab, find Client ID and copy it. This will be your Service Principal user name. From the “keys” section, from the drop-down select 1 or 2 year duration. 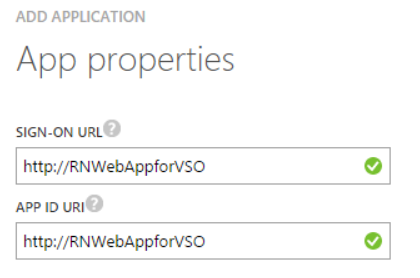 Retrieve Tenant ID for your Azure account. Click “View End-Points” on the bottom panel. Above commands work with older version Azure PS modules. If you are on latest Azure ARM PS modules, you need to use equivalent RM command-lets. For example, Add-AzureRMAccount, New-AzureRMRoleAssignment etc. You could also do role assignment to your application from the new Azure portal. Click Browse and select Subscriptions. Select the subscription you are using. Click the Access button. Click Add. Select Contributor as the role. Search and select the name of the application you just created. Click OK to grant the service principal access to your subscription.